Does Molly hate taking medication? Do you have trouble giving Max pills? Does Fluffy need special medicine? If you answered “yes” to any of these questions, then compounded medications might be the answer. 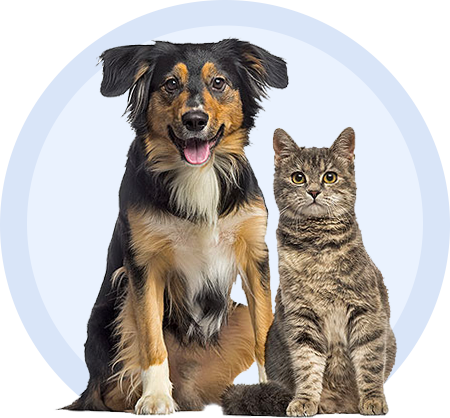 We're experts at compounding, the process of customizing medications into easy-to-administer forms and pet friendly flavors. Turn select oral medications into a topical treatment that can be rubbed into the skin of your pet's ear for easier administration. Please add 1-2 business days to transit times for compounded items as these medications must be made to order. This dosage form is applied to the skin inside of the animal's ear flap, also known as the pinna. A minimum of 15mL per liquid compounded medication is required. Please search VetRxDirect.com or call a VetRxDirect pharmacist at 866-761-6578 about medications not listed here. Pharmacists and veterinarians work together to improve and maximize the therapeutic success and compliance of pets. Flavored dosage forms make it easy, even fun, to dose an animal. If you find that giving your cat or dog a pill is a frustrating experience, it may be possible to have the medication compounded into a flavored formulation. VetRxDirect can prepare many of the more common medications into liquid formulas with appealing flavors such as fish, chicken or liver. Having trouble obtaining drugs that are no longer commercially produced? Contact a VetRxDirect pharmacist. We can compound discontinued and unavailable drugs, per your specifications. Ask your veterinarian if compounding is right for your pet's medication needs. Questions about compounding? Contact us at 1-866-761-6578 or email info@VetRxDirect.com. Our compounding pharmacy is proud to have earned the Pharmacy Compounding Accreditation Board's Seal of Accreditation. While all compounding pharmacies are required to meet the requirements set by their respective state boards of pharmacy, PCAB Accredited™ denotes a more stringent and comprehensive standard which serves as an assurance that our compounding pharmacy has been tested against the profession's most rigorous standards. Agree to the PCAB rules and terms of accreditation. Abide by the PCAB Principles of Compounding. Meet or exceed all PCAB quality standards. Pass an extensive on-site inspection. Use only high quality chemicals and equipment. Ensure that compounding pharmacists and technicians receive continuing education and training in compounding. Employ a system of continuous quality improvement. PCAB criteria was established by a Standards Committee of compounding pharmacists and nationally-recognized experts in the compounding pharmacy profession. To earn our designation as a PCAB Accredited™ compounding pharmacy, we completed an extensive application and submission process, documenting our education, training, licensures, policies and procedures. Our documentation was reviewed by PCAB. Next, we had to pass an extensive on-site inspection. Only when this stringent evaluation was completed and we were judged to have met all criteria, did the PCAB officially grant us the PCAB Seal of Accreditation. We are honored to receive the PCAB Seal of Accreditation. We feel it confirms our commitment to providing safe, personalized solutions that meet the medical needs of our patients - and the needs of the healthcare providers in our community. To learn more about PCAB Accreditation or to review our pharmacy's Accreditation Report, visit www.pcab.org or contact our pharmacy. Informed consumers should choose a compounding pharmacy that displays the PCAB Accredited™ Seal.